Remember that SEO means optimizing your blog or website for search engines to crawl easily. Nothing more or nothing less. Many of our readers are asking to write about SEO in more simple words. So, here are only the “must have” points to make your blog SEO friendly. Keep your blog simple. Do not use keywords unrelated to your content. Quality is above all. We all know Mesothelioma is a high value keyword. If we use Mesothelioma in this blog post 100 times, it will nothing more than a content farm or spam website. You must have a robots.txt file on your domain or subdomain. It is also good in the same directory that has a sitemap of your blog (XML or txt). Facilitate tracking and indexing of your blog. You can take a look at Google Sitemaps. 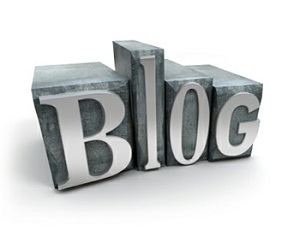 Blogs are powerful to search engines for a simple reason, your content is fresh. This means that you should keep your blog updated, it also get crawled more frequently. If you want your blog to appear in the results pages is important that you select and use either your keywords. A useful tool to check the popularity of certain keywords can also be found on Google. Ideally, the keywords of your blog appear in some form in the content, header tags h1, h2 … In titles, bold, tag clouds, in internal links (anchor text). These tips regarding keywords tend to repeat a lot, but few bloggers are trying to adopt them. You may think it is to condition your content, but there goes your ability to learn and we can can assure that the benefits are enormous. This Article Has Been Shared 8571 Times! Your domain name gives a first idea of the content of your website. You should not underestimate your choice of domain name. SEO and Usability has very difficult relationship. Bloggers often ignore one part; either SEO or usability. Here is the ultimate tips to keep SEO and Usability on together in your blog. Cite this article as: Abhishek Ghosh, "Top 5 SEO tips for blogs," in The Customize Windows, May 1, 2011, April 25, 2019, https://thecustomizewindows.com/2011/05/top-5-seo-tips-for-blogs/.